What I've Learned from Writing - Spectacular Fiction! I consider myself to be at the beginning of what I hope becomes a fruitful writing career. 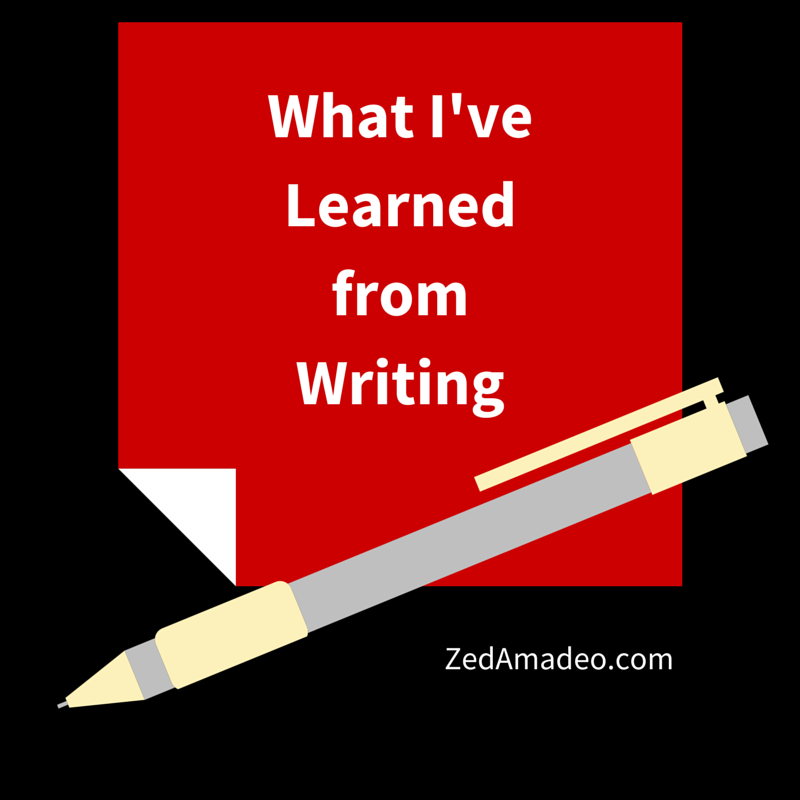 Over the course of pursuing my passion in writing, I’ve learned some useful lessons that have helped me break new ground in achieving my writing dreams. A book doesn’t just write itself. As one writing book said, even the most well-written books probably had to go through a series of drafts to reach its current state. Yes, there will be times when I’ll feel stuck in a story, but this is not the end of the world. While this used to frustrate me in my younger years, I now know that instead of giving up on my current piece, what I need to do is continue working through it. The importance of patience applies to every aspect of writing, from finishing a draft, to editing, to submitting a piece, and growing an audience. Even if my progress seems to plateau, I remind myself that I just need to keep trying. Any road blocks in my writing career are ultimately temporary. A first draft is never perfect. Ever. This is something that seems so simple and obvious now, but teenage me thought that every word I wrote had to be absolutely perfect. My need for perfection resulted in lots of writer’s block from fear of writing something that might be less than perfect. Now I’ve come to expect that my first draft will probably be pretty bad, and that’s perfectly fine, because I can always edit it later. Taking my writing seriously has made me grow a thicker skin. I used to be terrified of rejection or of someone not liking something that I wrote. Now I’ve come to realize that rejection is normal for every writer to go through, and that rejection can teach some valuable lessons within itself. Being rejected doesn’t define me as a person or as a writer. When I was younger, I used to keep most of my writing to myself because I was afraid of what people would think. I now understand that my style of writing isn’t for everyone, and that’s perfectly fine, because there are people who do enjoy my stories. I see constructive criticism of my writing not as an attack on my abilities, but suggestions for how I can improve my craft. I continue to pursue my passion in writing because I believe that I have interesting stories to tell. This confidence within my abilities has allowed me to continue trudging along with my writing despite rejection or criticism. If I had never pushed myself to try new things with my writing, I’d still be afraid to share my writing with the world. I would’ve never joined a critique group out of fear of criticism. I would’ve never submitted my writing anywhere for fear of rejection. I would’ve never started blogging. Although I am more comfortable with all three of those things now, it’s always a bit scary to try something new. Throughout my writing journey, I’ve learned to push that fear away and explore more aspects of writing. Instead of focusing on my fears, I instead think about all that I want to achieve. With this mindset, I can tackle my fears and continue pushing the boundaries of my comfort zone to grow my writing abilities. What have you learned from following your passion? persistence, yeah. and own your ‘failures’. you can’t blame the industry or anyone else for the state of your publication history… you just gotta keep finding new ways to pursue the craft and sending it out there. You definitely gotta keep trying, even in the face of rejection. Finding new ways to pursue writing is also important. One author’s path to success may not necessarily be the path for you, so don’t be afraid to explore and try something different with your writing.